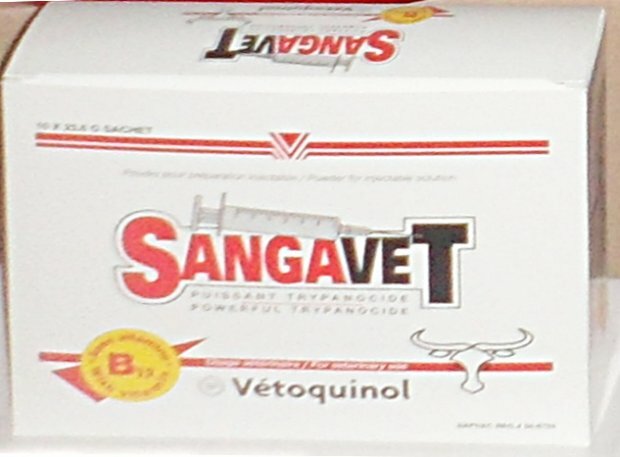 SANGAVET - Groupe Veto Services S.A.
Powder for injectable preparation against the trypanosomosis and babesiosis in cattle. Packaging: box of 100 sachets of granules each corresponding to 2.36 g sangavet and box of 10 sachets of granules each corresponding to 23.6 g sangavet. 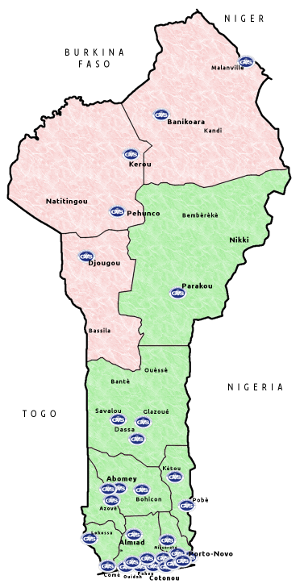 Indications: in cattle trypanosomiasis in Trypanosoma congolense. Preparation of the solution: the dose is usually 3.5 mg diminazene per kg body weight for all animals. Infestations in Trypanosoma brucei, it is recommended to double the dose. This can be increased to 8 mg / kg body weight when it comes to germs extremely insensitive. However, it is recommended not to exceed a total dose of 4g. Dissolve the contents of one sachet of 2.36 g sangavet in 15ml of sterile water or of a bag of 23, 6 g in 150 ml of sterile water. Inject the sangavet deep intramuscularly at a dose of 15 ml per 300 kg body weight. For larger quantities, it is recommended to divide two points to avoid painful local reaction. Meat and offal: 21 days after the last treatment.